These are the questions asked by UPSC board in CPF interview/ personality test exam. 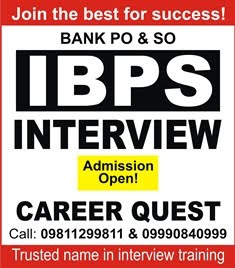 Career Quest, Delhi provides best coaching for all interviews including CPF under Program Director Sanjeev Kabeer. Contact numbers are 09811 29 9811 and 09990840999. 1. What is your name, roll number and date of birth. 3. What is insurgency problem? Where? 4. What is participatory management? 5. How you can use your knowledge of Computer Science in CPF? 6. What is Wi-Fi? How it works? 10. Hindi should be made national language. Favour and Against statements. 12. You are with group, insurgents comes, what you will do? How you will handle? 13. You are on border. You know about the attack. You know the enemy. How you will handle? 14. What is scientific research? 15. Are you a good leader? 16. What is food security? Your relation to it? Career Quest is the trusted institute for interview preparation. CQ prepares your personality for interview without harming your originality. CQ gives personal attention to every candidate. Timing - 10:40 A.M to 11:15 a.m.
with shivering cold . i demanded a cup of tea to a peon saying that I would not be able to speak a single word without a cup of tea. With the last sip of tea , a peon came to me to direct me towards interview room. me:( pushing door with one hand) may I come in sir? Chairman: So swapnil what do you know about IR? Chairman: I mean to say India's relations with its neighbours and other countries such as Sri Lanka, Nepal ,Bhutan ,Bangladesh. me : Sir Sri Lanka is undergoing a transformation from presidential form of Government to prime ministerial form of government. We have some differences and conflicts such as 13th Amendment that is giving autonomy to Northern provinces Indian origin sri Lankan Tamils, fisherman's issue etc( I was blank after this before switching to Nepal). Before joining Career Quest I was skeptical to join it. Because I was feeling following the flock of ship to one classroom in the market of UPSC. I was further questioned by my conscience - इंटरव्यू के भी कोई क्लास होते हैं क्या ? I was in fear to lose my original personality in the name of class with fabricated answers . But With each class proceedings i came to realised that I have chosen the right place where I can learn how to answer and why to answer specifically instead of what to answer. I believe that this is the right place one can get your assessment in very precise Manner. One will never get score below what sir has allotted you in mock interview. the precise assessment is very much necessary to improve your performance ... strengthening your strong areas and hiding your weak areas . many interview coaching has multi member interview panel.... which I thought weakness of career quest.... but one member panel in the career quest is itself it's strength . these words further boosted my confidence and keep me away from inferiority complex. 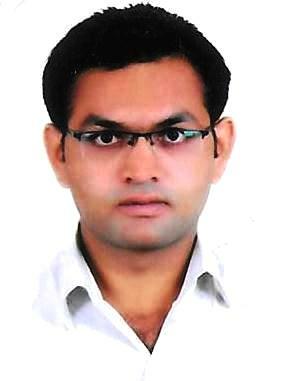 "The thirst and the Quest of my career is quenched by the precise assessment and motivation by sanjeev kabir sir". Thank you for being a part of my success. Chairman: What is Maritime Silk Road? me: Maritime Silk Road is initiative taken by China so as to increase their Exports. Chairman: Ok you mean to say that China is developing Maritime Silk Road for their economic development, then why we are concerned about that? Me : sir with Maritime Silk Road China is constructing a strings of pearls , chain of ports surrounding india such as hambantota in Sri Lanka, Gwadar in Pakistan . so it is directly affecting India's role in Indian ocean as Net security provider to small Nations. it affects our external security also. ME: sir TPCT is Terna Public Charitable Trust which involved in various social and charitable activities. it also runs various schools colleges and hospitals. me: Sir Terna is longest river in my district. Member : Why you want to join CRPF? me: Sir it gives me opportunity to give exposure to my personality to various internal security challenges and law and order problems. Member : Tell us something about history of CRPF? Sir Central Reserve Police Force was established before independence as a crown representative police force in 1939 as viceroy's force in a desire to help princely states to calm down political unrest and to maintain law and order. Later on this force is recalibrated as Central Reserve Police Force in 1949 with the mandate of internal security. Member : What are the specialised child agencies of CRPF? me: sir there are two specialised child agencies of CRPF first one is rapid action force which was established in 1992 with the objective of controlling civil unrest, Rio control , crowd contol with minimum response time. Second one cobra force commando battalion for resolute action is force established in 2008 with the mandate to fight against left wing extremism. Member: Who are the social reformers of Maharashtra? me: sir if I mention about social reformers of maharashtra ....three names comes to my mind first mahatma Phule ,dr Babasaheb Ambedkar and shahu maharaj. Member: What is contribution of Jotiba Govind phule? Sir mahatma phule has immense contribution in the society. He worked for social upliftment of the marginalised people along with his wife Savitribai Phule,he established 1st girls school in Pune. Member: is there Any organisation related to Mahatma Phule? Me:Yes sir, satyashodhak Samaj is the organisation related to Mahatma Phule, it was established in 1875 to find the truth of the society and to give justice to marginalised people.... It exist now also. member: What is contribution of Shahu Maharaj? Member: Does he worked in the same direction as like phule? me: Yes sir Shahu maharaj also worked for the social upliftment of the marginalised people . he is the first one to give reservation to socially backward classes in 1904.
member : After introduction of BT Cotton , is it that farmers suicide rate in Maharashtra increased? member: But I have heard that due to bT cotton, india became topmost cotton producer. me: sir, there are other factor also due to which farmer suicide has increased. member: State two cases in which Central government has intervened in the states jurisdiction. me: Sir few days before West Bengal chief minister blamed Central Government for deploying Central armed police forces in her state without her consultation. And second case is misuse and abuse of article 356 president rule. Member: Where it was misused? me: Sir it was misused in Arunachal Pradesh and Uttarakhand. member: What do you know about federalism? me: Sir India is Federal state with strong centre. India is indestructible Union of destructible States. member: What? ( with scaring laugh - amrish Puri style) what India is Indestructible Union of destructible States, how? me:( though I was correct i was lowest in my confidence at this juncture due to scary laugh )i asked for time- sir may I take few seconds. me:(after 4. 5 seconds) sir India is not like United States of America where state boundaries are rigid. But under article 3 of our Constitution we can alter the boundaries of states with passing parliament Act. me: Hockey is our national game we won 8 gold medal in olympics.Kabaddi is our Desi game which becoming popular in recent days and cricket is most popular game of our country ( interrupting). member: Which game will you choose in between these three? me: sir as per my interest I will choose Kabaddi. member: Ok Swapnil you mean to say that in democracy there is right to choice. Me: Yes sir, right to choice must be there in democracy. member: What you have learnt from Kabaddi? me: Sir, physical fitness ,flexibility mental alertness, quick decision making, team coordination sportsmanship are some of qualities which I learnt from Kabaddi. member: Should NCC be made compulsory? me: Sir NCC is not a military program . it's a personality development and educational programme . instead of imposing any idea we should promote that idea to increase its acceptance. in fact NCC was compulsory in period between 1963 to 1967. Member: Should we bring self driving Cars to India? Many people who are engaged in this profession as taxi drivers would be unemployed what is your opinion on this .? Member : what was this National Integration meet? It was all India Inter School meet organised by novodaya Vidyalaya Samiti at new delhi under Ministry of HRD .one cultural performance was invited from each state and I represented my state with cultural folk dance called 'Jogwa'. member: What are the threats to the national integration? me: Sir there are many threats to National Integration such as regionalism, casteism, linguism ,separatism. member: How we can increase the national integration? me: sir Dr Babasaheb Ambedkar said that it is the most vital need of the time to to arouse the feeling and sense of common nationality amongst the masses. (Statement copied from delhi metro advertisement)we can Increase the feeling of national integrity with seminars, conferences, spreading and publishing literature on it .we can also implement schemes such like in navodaya Vidyalaya's Inter School interstate migration scheme to know each other's culture. ( at the time of exit from interview room I was pulling door . the voice from Panel member suggested me to push door outside i humbly thanked them without turning back for their suggestion.) After interview i felt i could have answered better than this .......but that moment matters. Prashant Singh got selected in CPF exam conducted by UPSC in 2012-13 as Assistant Commandant. His first choice was CRPF which most of the candidates as their last choice. Prashant got CRPF. He wants to do constructive work for the society through this challenging service of Para Military. IAS Planner blog wishes him a great career ahead! Reading his interview will be motivating for the aspirants. * Are you a working professional? - No. * Details of other competitive exams that you appeared in- Appearing in Civil Services Examination 2013. * Hobbies, Extra Curricular Activities, Achievements etc.- Reading Newspaper and Magazines, Sports and Fitness, watching Movies. Q. Tell us something about yourself. Who motivated you to enter in the competitive exam field? I was motivated for competitive examination by my family, especially my Father who has been an IPS officer. He retired from service in 2010. Q. List of the books you referred for success? Honestly speaking, I did not strictly prepare for CAPF Exam. I was preparing for Civil Services Exam, and I appeared in this exam and got selected. There are a few books for preparation in the market. Q. Tips for success in the CPF written exam? Be honest with your answers, try and be relaxed. They are very professional people and you need to answer to the point to their questions. Q. How did you prepare for the essay? No specific preparation. I regularly read the news paper and wrote down the brief understanding of the editorial. Q. During the preparation, every aspirant goes through emotional ups and downs. So, how did you manage the motivation, your time during preparation? Kept preparing without much thinking about the result. Channelized my energies with help of Yoga, running and exercise. Q. How many hours do you study per day? How many months/years? Not fixed. I think that a time frame cannot be set for competitive preparation. You need to focus on the goal and keep working. Sometime success comes early, sometime its delayed. But everyone has to put in the hard work and some point of time in their lives. Q. To pass Physical Efficiency Tests (PET), what preparation did you do at home? Give some tips to the aspirants. Regular running for a month along with a check on your body weight is very important. It was not a worry for me because I regularly went for running and exercise, even when I didn’t have to appear for PET. Practice for one month keeping a check on the timings also. Q. What is your experience of CPF interview at UPSC? The interview was good. Went on for 30-35 minutes. They asked questions from my DAF, and some subject based questions. Be very well versed with your DAF. Q. Which questions UPSC asked? How you answered? Any mistake done? 1. Please come in Prashant, please have a seat. 2.So u have done NCC? Have you submitted the NCC Certificate? 3.What is your service preference? 5.Briefly state the positives and negatives of the movies. 6.Do you feel that muslim community has been depicted in very poor light in the film? 7.What magazines do you read? In English or Hindi? 9.Why do you wish to join CRPF? 10. Are you aware of the problems being faced by CRPF? 11.How will you be able to address them? 12.What is the issue regarding the deployment of Army in Naxalite area? 13.What is Armed Forces Special Powers Act? 14.What is a disturbed area? 15.Name a place in Lucknow which was the centre of action during the Revolt of 1857. 16.What is your philosophy of leadership, and how would you use it on the ground with your men. 17.Questions on US Presidential Elections, the candidates and their parties. 18.What is Corporate Social Responsibility? And what percentage is used by Corporate, and whether it should be increased? 20.Which agency in India ensures the implementation of Corporate Governance? 21.Why don’t common people feel very comfortable in approaching the Courts? 23.Why LL.M? What is the area of specialisation? 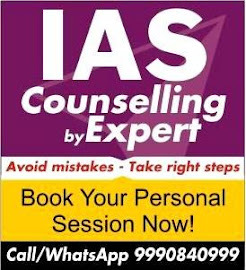 24.Are you preparing for Civil Services also? 25.Why CPF and not Laywer? Q. 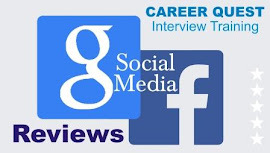 Tips for the aspirants for interview preparation. Do you suggest coaching? Read newspaper regularly. 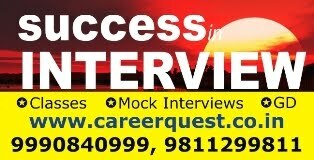 Yes I will suggest to join Career Quest which I joined for my interview. Q. What was your service preference order and why did you pick up the particular order? CRPF, BSF, SSB, ITBP, CISF. CRPF was first choice because of the diverse nature of policing which it carries out. The others are very work specific and location specific forces. Q. If you were not selected, what was your career backup plan (plan B) ? Firstly, once I made it in the written exam, I knew I would make it to the final list. Or I would have attempted again, along with the IAS Exam. I am a law graduate and could have taken up that as a parallel option. Q. What you learned during competitive exam preparation? I have learnt that competitive exam is all about patience, hard work, honesty and a very positive approach. It has taught me to remain balanced, calm and a better human being. Q. Who supported you to achieve this success? God, My family, friends and teachers. Q. Any other thing you want to share with candidates? Aim very high in life and then make every effort to achieve it. Commit without thinking of quitting. All the Best! 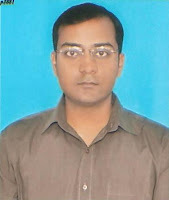 "Joining Career Quest for interview preparation for CPF (AC) Exam-2011, was one of the important decisions of my life. I remember my first day at the institute, when I met sir, and during the first meeting I realised that it was a correct decision to reach Career Quest. Sir, made me feel relaxed and confident, during the course of my preparation. The way he moulded my confidence in such a short span of time, was tremendous, and it only showed his delivering skills.